One of Sousa’s best lesser-known marches, rescored for modern concert band, including a new line for trombones in the final trio, and Silver Edition parts for upper woodwinds and horns. 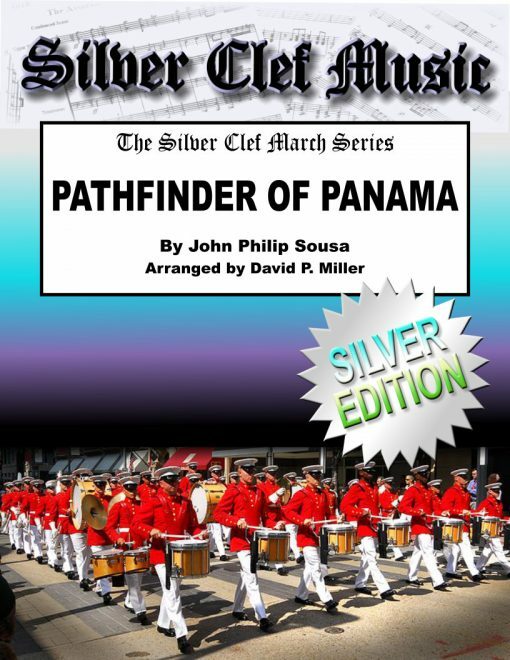 We are happy to bring you a new arrangement of what may be one of John Philip Sousa’s best “unknown” marches, the Pathfinder of Panama. This march was written in celebration of the opening of the Panama Canal, which cut 8,000 miles off the ocean voyage between New York and San Francisco. The march was written at the request of reporter Walter Anthony of the San Francisco Call, while The Sousa Band had a nine-week residency at the Panama-Pacific Exposition in San Francisco. The march received its premiere performance there in 1915. This arrangement has not only been scored for a modern concert band, including meticulous attention to uniform dynamics, articulations, phrasings, and rehearsal marks, we have also added a trombone counter-melody in the trio. In Sousa's orginal scoring, the trio had the melody being played by the trumpets, the trombones, the baritones, and the saxes. In this arrangement, the trombones have been given a new part at the tutta forza section starting at measure 88, with some parts of it in harmony with the melody, and other parts of it adding some countermelody motion. All who have played this say it adds to the tune. In a nutshell, our Silver Edition parts are intended to make their parent works accessible to intermediate level musicians, such as are found in the majority of community bands, and to give the horn players something other than just afterbeats. 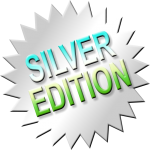 Please read the full explanation and rationale behind our Silver Edition parts on our Silver Editions description page.